Phone the StepChange charity on their freephone contact number 0800 138 1111 for free debt support, to set up a regular management plan and for advice on declaring bankruptcy. Contact StepChange for free by dialling their freephone number 0800 138 1111 for confidential advice and support with managing your debt. The charity’s advisors are specially trained to deal with all manner of debt cases including bankruptcy, mortgage payment deficits and loss of money resulting from a change in circumstances such as the death of a partner. Therefore if you are uncertain as to the best debt solution for your case it is recommended that you phone their staff for a consultation. 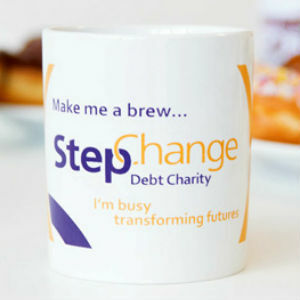 The StepChange debt advice helpline 0800 138 1111 is free to call from all UK landline and mobile handsets, however a charge may still apply for international calls. Lines are open from 8am-8pm Monday-Friday and 8am-4pm Saturday, if you require support outside of these opening hours please view the alternative contact options provided at the bottom of this page. Contact StepChange on their dedicated phone number 0300 303 5300 for support when making repayments under your Debt Management Plan (DMP) or Token Payment Plan (TPP) agreement. For instance you should dial this number to increase the amount you repay each month, to make a one-off payment or to change the bank account which you make the relevant direct debit payments from. Alternatively if you would like to set up a new Debt Management Plan (DMP) or Token Payment Plan (TPP) then please call their alternative helpline number 0300 303 7037 to set up your regular payments. These helplines are charged at standard UK local rates, which means you can contact StepChange for free if you have inclusive minutes as part of your landline or mobile tariff. Alternatively you will be charged a per-minute rate plus an access charge which are specified by your provider. Contact StepChange on their homeowner support number 0808 168 6719 for over-the-phone advice about releasing equity from your property or taking out a new mortgage. Their team of customer service advisors can provide you with accurate advice on whether releasing equity from your home to pay off your debts or to support your retirement is the right solution for you. Moreover first-time buyers and those looking to remortgage can call this helpline for free advice about mortgage types and interest rates. Residents of Scotland can contact StepChange by calling their dedicated freephone number 0800 652 7491 to set up a Debt Payment Programme (DPP), to report a change in your income which will affect your repayment plan and to arrange your annual review. You should also phone this helpline if you would like assistance when filling out a bankruptcy or sequestration form, for instance by asking what counts as sufficient evidence to support your claim. Contact StepChange on their UK phone number 0300 303 2469 if you have enough money to pay a lump sum which will pay off all or the majority of your debts. The charity will then liaise with your creditors to organise the transferal of funds. Please be aware that this helpline is only open from 9am-5pm Monday-Friday so please do not attempt to call this number on weekends or bank holidays. Contact StepChange on their local-rate telephone number 0300 303 5666 for technical support with your online account, to update your budgeting plan and to report a change in your personal details. Moreover you can dial this helpline for confidential support if you have received court papers relating to the amount you owe, such as a seizure of goods notice. If you are unable to call StepChange for any reason you may use their range of alternative contact methods, such as writing in to either their email or postal addresses. You can also view debt support materials via their range of social media profiles. Contact StepChange by email by visiting the contact details section of their official website. Here you can also login to access online Debt Management Plan and fill out a preliminary form to help the charity’s debt advisors give you the most accurate information for your case. You can view helpful material designed to support UK residents in debt by visiting StepChange’s range of social media profiles. Here you may be able to message customer service staff, however you should not include any sensitive information relating to your bank account via these public forums.